by Nancy E. Hassel, LIPetPlace.com, All Photos in this article were taken by Nancy E. Hassel – Copyright Protected. 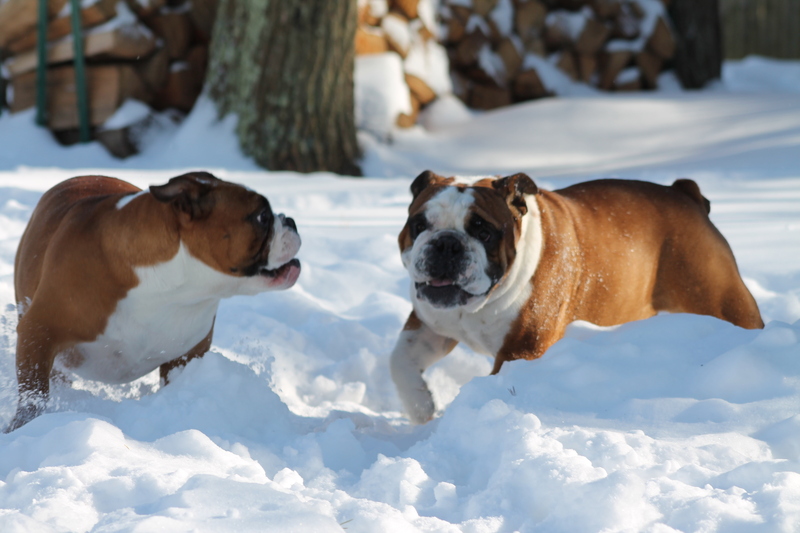 Here are 5 simple tips to help keep your pets safe and warm while enjoying the snowy weather. 1.) Protect your dogs paws. 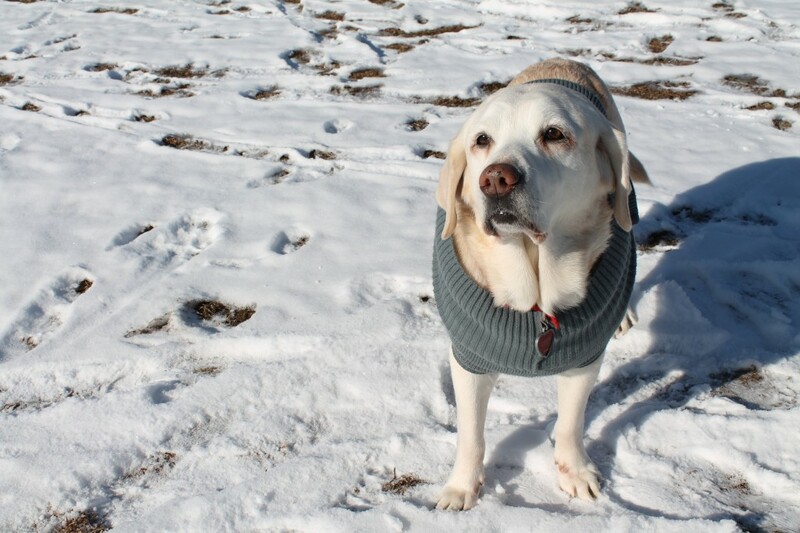 There are many pet boots and products on the market that you can put on your pet, have them wear to help them with keeping their paws from getting frost bite, chapped and sore. Also use pet friendly salt when putting salt down on your sidewalks and driveways. When you come inside, wipe your pets paws with a damp, warm clothe and check for any salt, rocks, cuts or scrap on their paws. Towel them off to ensure their fur is dry before they settle in for a nap! 2.) For cats that are indoor/outdoor cats – during the very cold months keep them inside or at the very least limit their time outside. 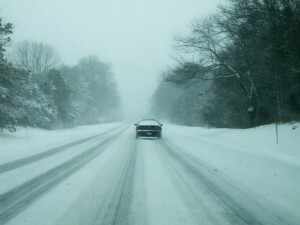 Cats can be easily injured slipping on an icy fence, accidentally ingesting antifreeze which is toxic to cats and dogs, and they may decide to climb up into a car to keep warm. (Note: Bang on your car hood before starting your car in the winter months in case your cat or a stray cat has climbed into the engine to keep warm.) Keeping them inside is best in the winter. If they seem bored being in, go out and get interactive cat toys and have fun with them inside while the snow comes down outside. 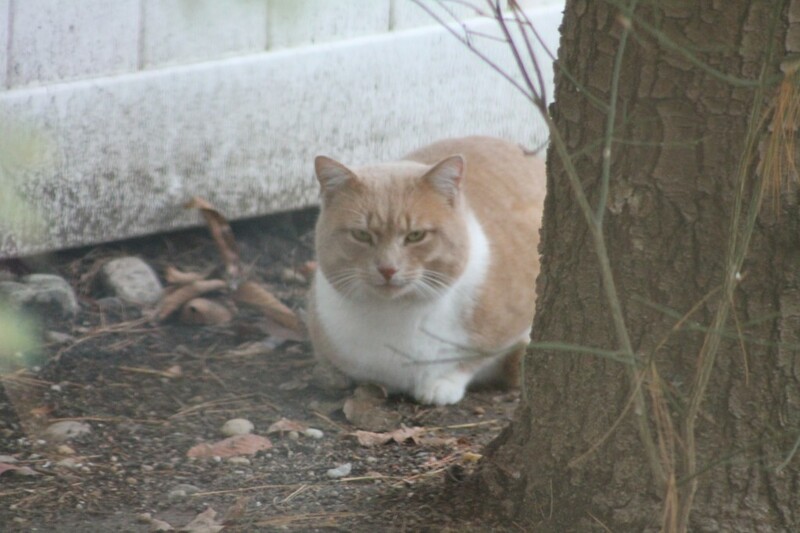 While there is no snow on the ground, it was about 10 degrees this day a neighbor cat left outside to fend for itself. 3.) When out for a long hike with your dog in the snow, be sure they have a properly fitted dog coat on if they don’t have their own natural double coat. Bring a first aid kit for pets with you just in case. 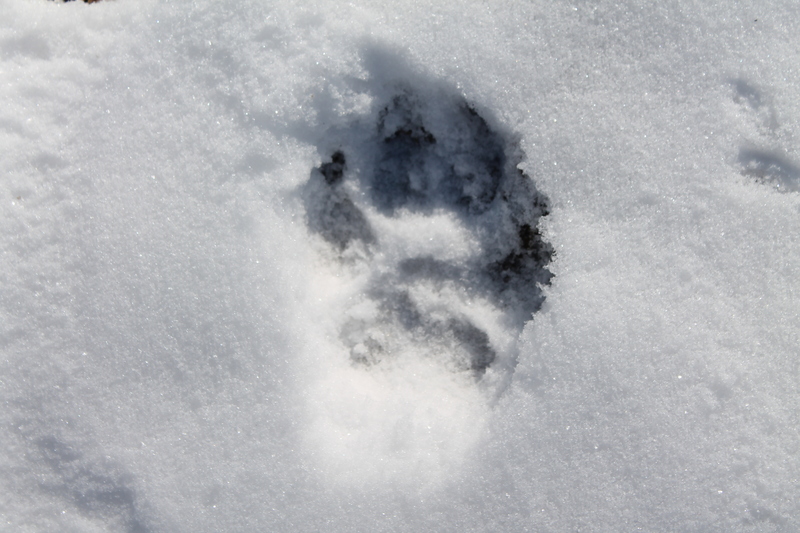 Put a coating of Mushers Secret paw wax on their paws if they’re not wearing boots. 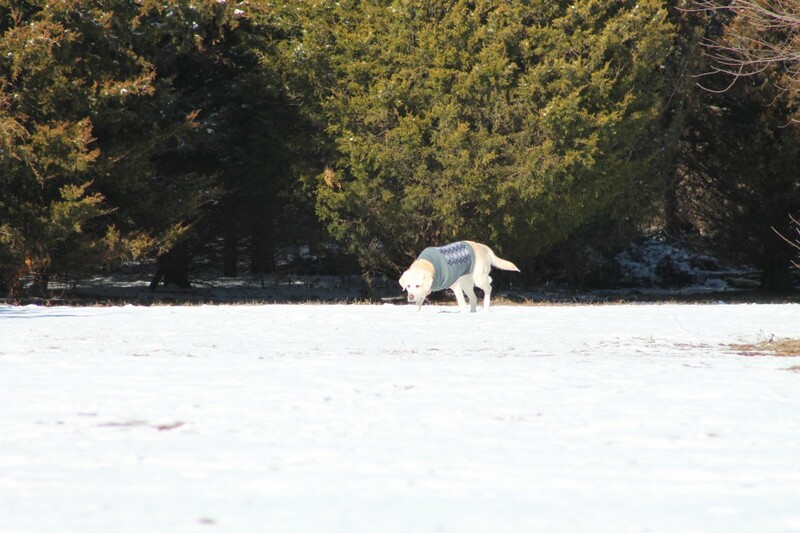 Have up-to-date ID tags on them and always bring an extra collar or leash with you – you never know when you may need while out in the elements. 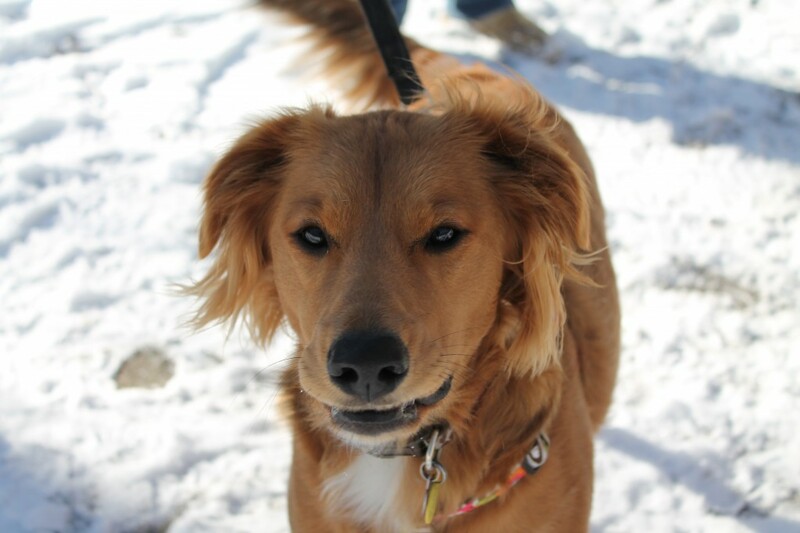 Keep your dog leashed and don’t let him venture out onto ANY ice. (Every year someone is on the news because they fell in trying to save or get their dog off the ice. 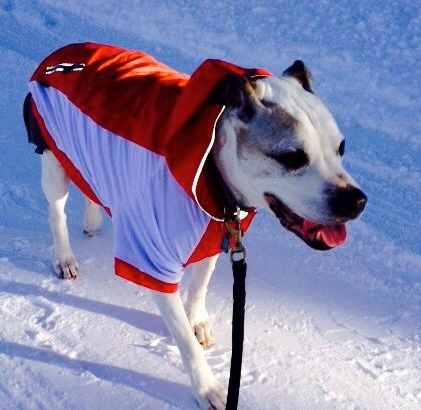 For tips on how to train your dog to stay off the ice, click here). 4.) 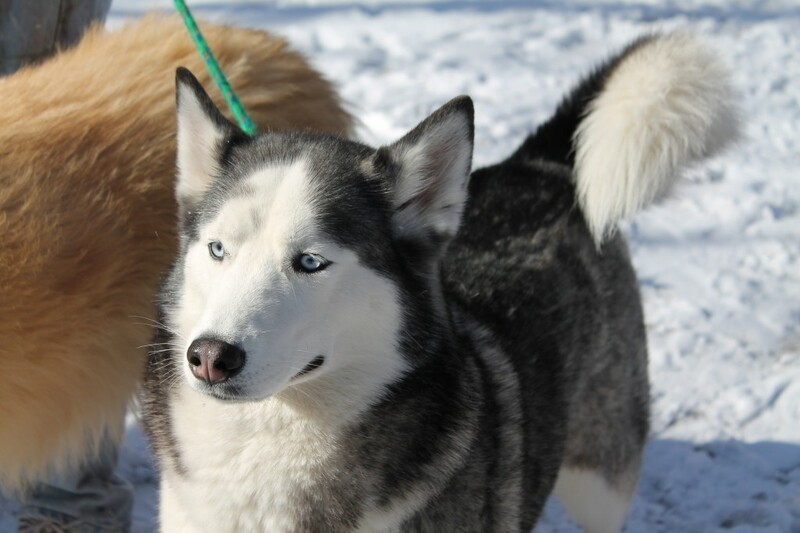 Check your pet from head to tail for any minor cuts or snow built up in their fur. 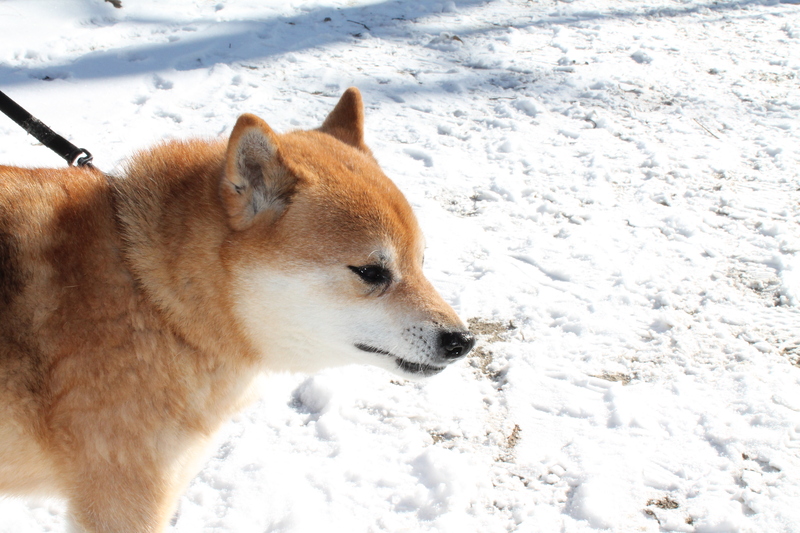 Check the tips of their ears, tails and paws to make sure they do not have frost bite. 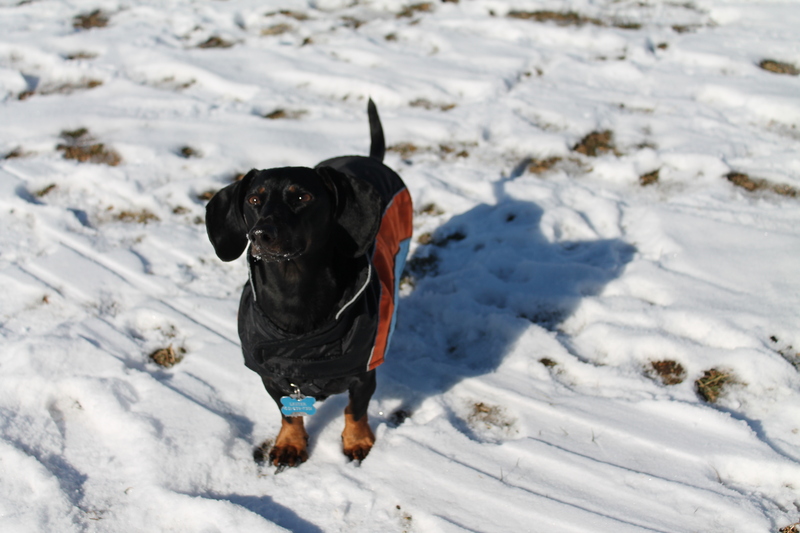 While more pet owners may be better at checking their pets in the summer months for fleas and ticks, make sure you still thoroughly check your pet regularly in the winter. Especially after a long walk or extended time in the cold. 5.) 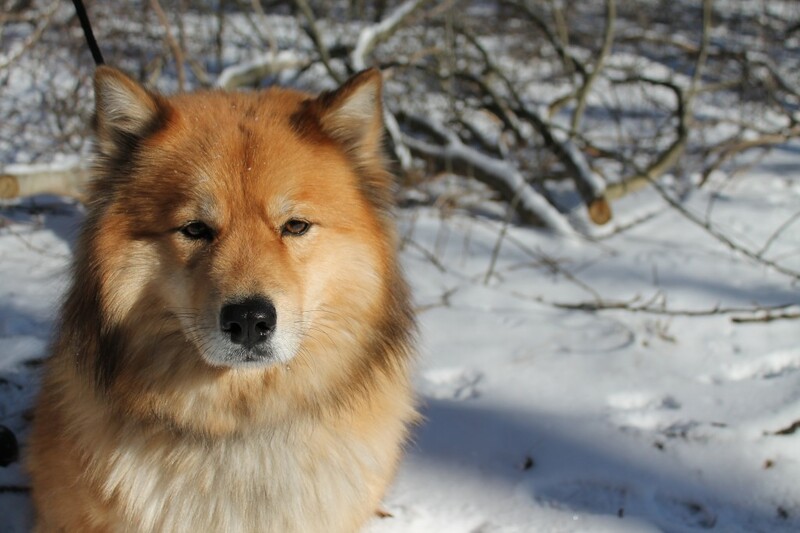 Dogs like humans can experience a bit of cabin fever during the cold, snowed in months. 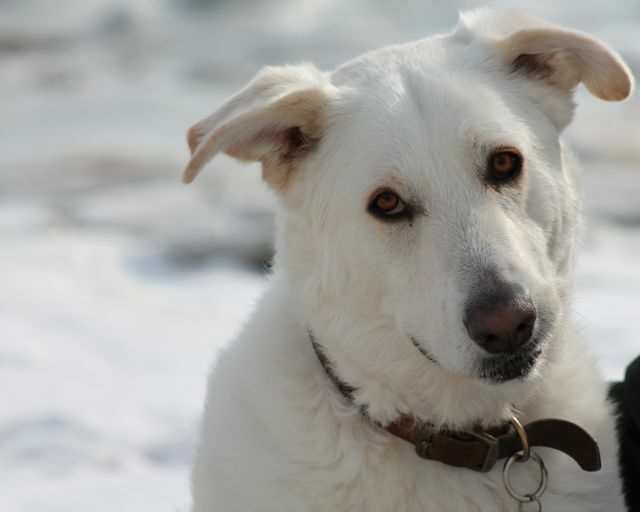 If your dog is bored, check out some fun and helpful ideas here. 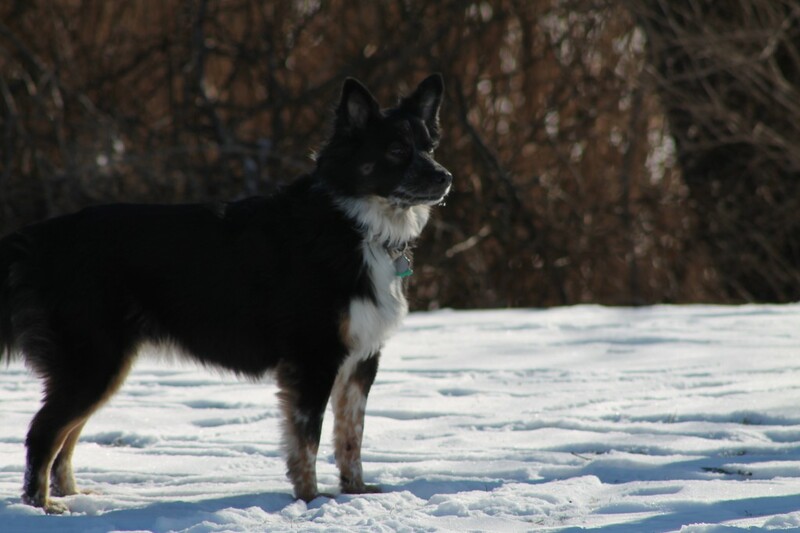 If you’re not exercising your pets as much in the winter, make sure you are reflecting that in their diets too. 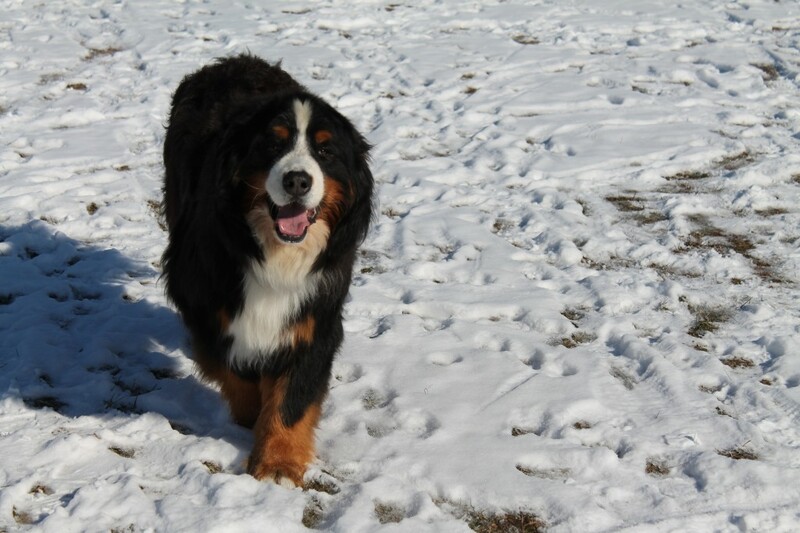 Overfeeding your pet during the cold months, while they have less exercise, will easily add lbs, which you don’t want! 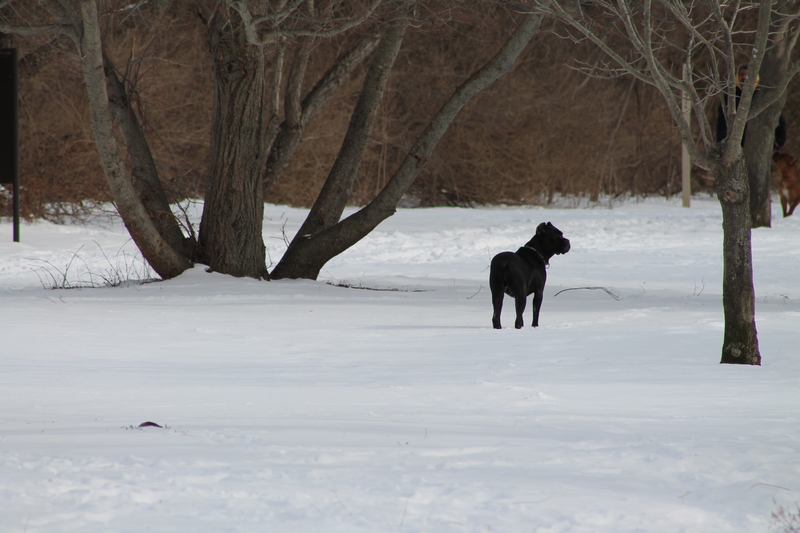 Sadly, many dog owners on Long Island think it is ok to leave their pets chained up outside with very little shelter to protect them and keep them warm. 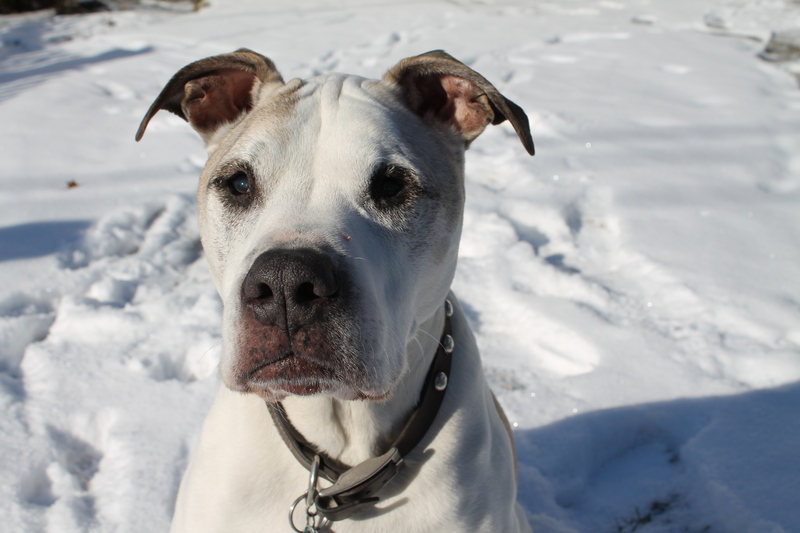 (Suffolk County has an anti-tethering law – dogs can’t be tied out longer than 2-hours at a time) If you see a dog left outside chained up all the time, call the police and local animal control within your municipal animal shelter – they will respond. While many of us who treat our dogs like kings, (or queens) may never understand why any dog owner would treat their dog this way. For some it is the way they were raised, their culture (where dogs are considered outside animals), or just lack of education on dog care – and for many it is a lack of money to properly care for their pets – but many of the owners say they do actually love their dogs. I know what you are thinking, but many rescue groups that work in these communities report that educating the dog owners, and helping them is what helps people see the light and bring their dogs inside, get them spayed and neutered and want to learn more about dog care. And many are willing to do this because they have been shown a better way by kind dedicated people who want to help. These unbelievably amazing rescue groups who instead of going and telling the people in the communities everything they are doing wrong, they go in to help the dogs, educate the owners and families and even the communities in which they reside. Often the animal rescue groups often end up helping the the humans in the families too, just an incredible bunch of volunteers. I have said for years, that education is the key to anything in life, and if it goes to help the dogs in these photo’s and their owners – I applaud the groups like, Almost Home’s Training Wheels Program and Break the Chain. So if you are sitting there reading this and want to know how you can help Almost Home needs hay and you can contact them by clicking here and the sooner the better with Hay for our temperatures are going to stay very cold for the next 5 days. 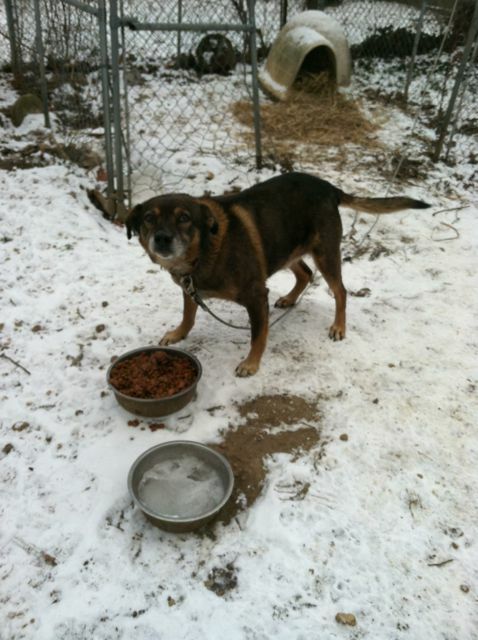 The difference in a donation of hay and/or a dog house, can mean the difference in a dog living through this extreme cold. Both groups are always in need of donations throughout the year, please contact them to help! See end of this article for locations to drop off donations for Break the Chain. 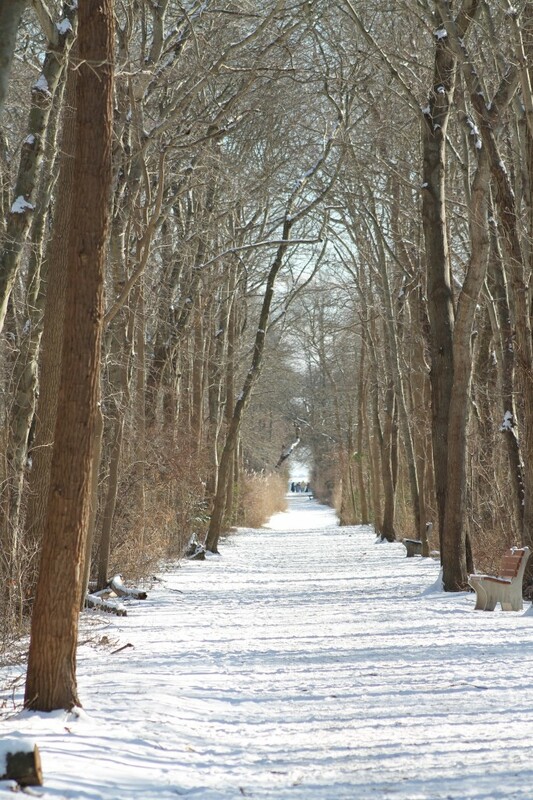 This picture was just taken recently in a community on Long Island, not somewhere in the south or in the middle of the country, but right in our own backyard. 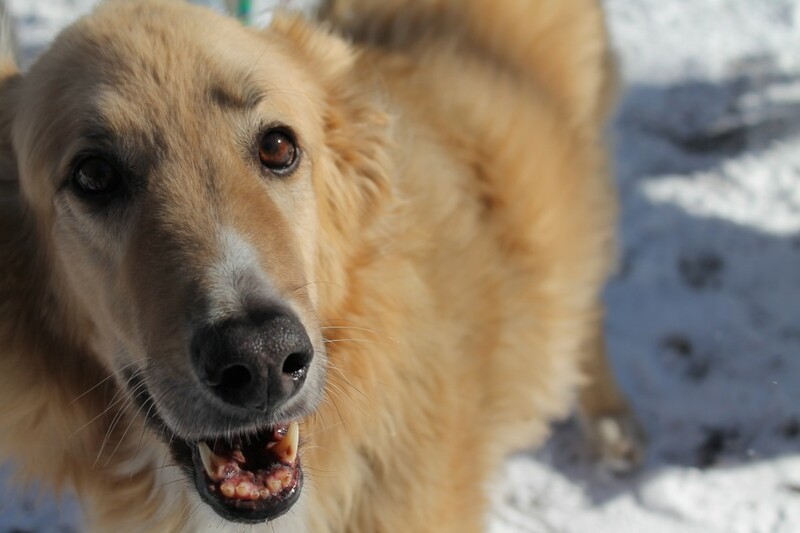 As a dog owner, who’s dog has four different dog beds, one upstairs, downstairs and two in my office – I can’t imagine the thought of tying my dog up, and leaving him out side with just a dog house to survive the frigid temperatures we are having. It was 9 degrees when I woke up at 7am today and when my dog went out, he was out for a quick minute and was shivering when he came back in. However what you may not realize is that the dog picture here is allowed to legally be kept outside like this. Why? According to the NYS Agriculture and Markets Article 26, the dog owner has to provide proper shelter to keep the dog from inclement weather with proper insulation, (like the igloo dog house picture here), hay or straw to help keep him warm, fresh food and water to be keep outside. So by law, the owner of dogs like this, are abiding the NYS law. (a) “Physical condition” shall include any special medical needs of a dog due to disease, illness, injury, age or breed about which the owner or person with custody or control of the dog should reasonably be aware. (b) “Inclement weather” shall mean weather conditions that are likely to adversely affect the health or safety of the dog, including but not limited to rain, sleet, ice, snow, wind, or extreme heat and cold. 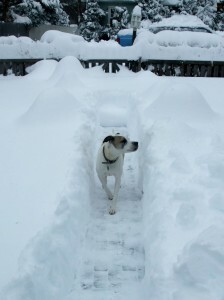 (c) “Dogs that are left outdoors” shall mean dogs that are outdoors in inclement weather without ready access to, or the ability to enter, a house, apartment building, office building, or any other permanent structure that complies with the standards enumerated in paragraph (b) of subdivision three of this section. in his or her custody or control and that is left outdoors, so as to bring it into compliance with the provisions of this section shall constitute a separate offense. be constructed to allow each dog adequate freedom of movement to make normal postural adjustments, including the ability to stand up, turn around and lie down with its limbs outstretched; and (4) allow for effective removal of excretions, other waste material; dirt and trash. The housing facility and the area immediately surrounding it shall be regularly cleaned to maintain a healthy and sanitary environment and to minimize health hazards. seized pursuant to the provisions of this article that have not been voluntarily surrendered by the owner or custodian or forfeited pursuant to court order shall be returned to the owner or custodian only upon proof that appropriate shelter as required by this section is being provided. 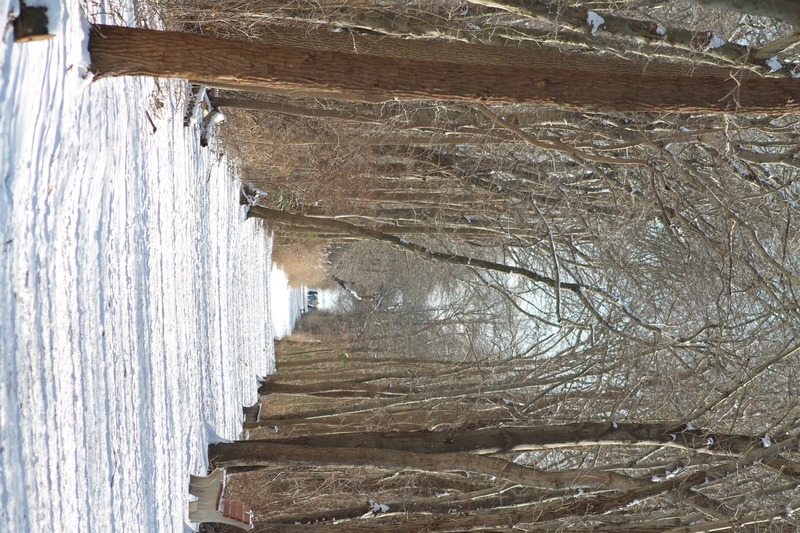 What to do on a beautiful sunny, yet cold winter weekend day on LI? 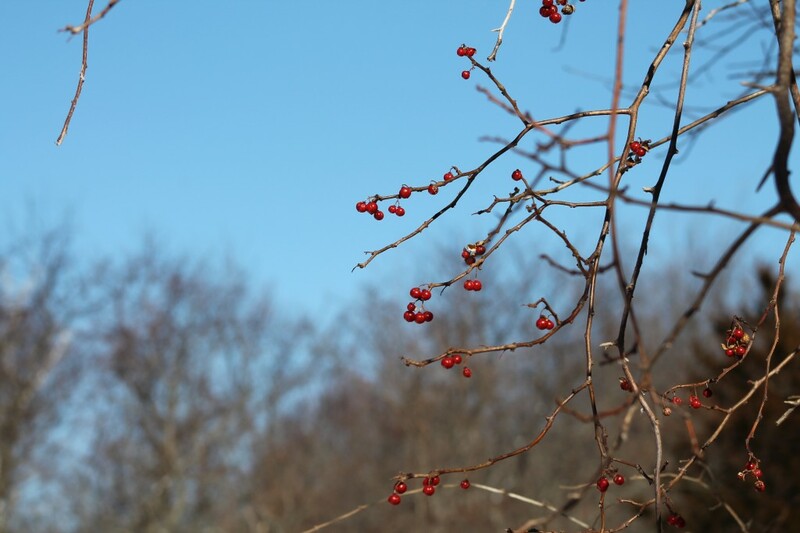 Forget the malls, the movies or just staying home and veggin’ out, head out to the wilderness the Long Island has to offer! I know what your thinking, some of you, what wilderness? 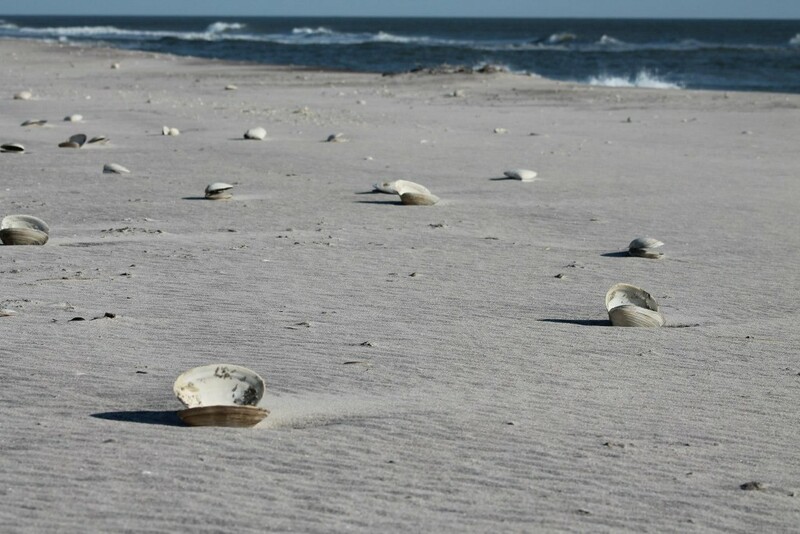 Well there is a ton of wildlife to see on Long Island, weather you want to take a hike in the woods or head out to the beach you won’t be disappointed. One of the best, and one of my favorite things to do is to head to the beach to see the wildlife in the sea – you got it, the adorable harbor seals! If you are living under a rock and didn’t yet know there are a lot of places to to view these beautiful graceful creatures in LI waters. 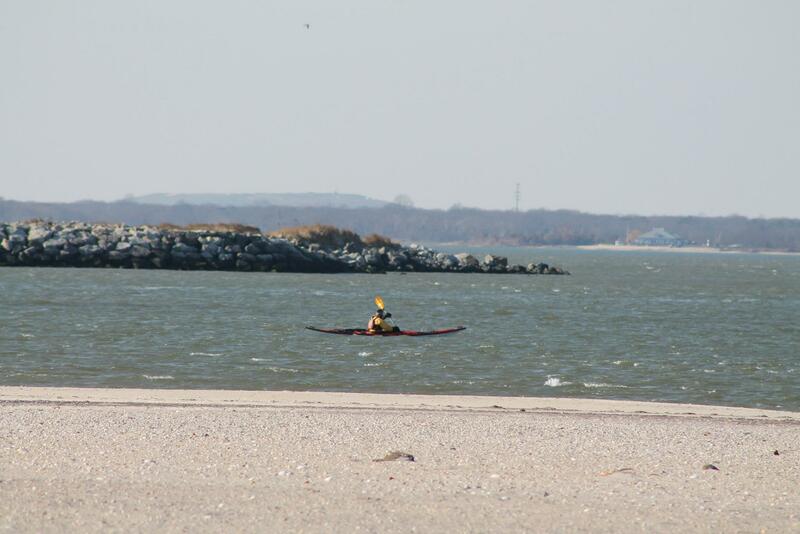 Even you reading this in Queens & Nassau County, there are places to see them there too. You can see seals on a guided walk given by a few different organizations, or you can head out and see if you can see them on your own. 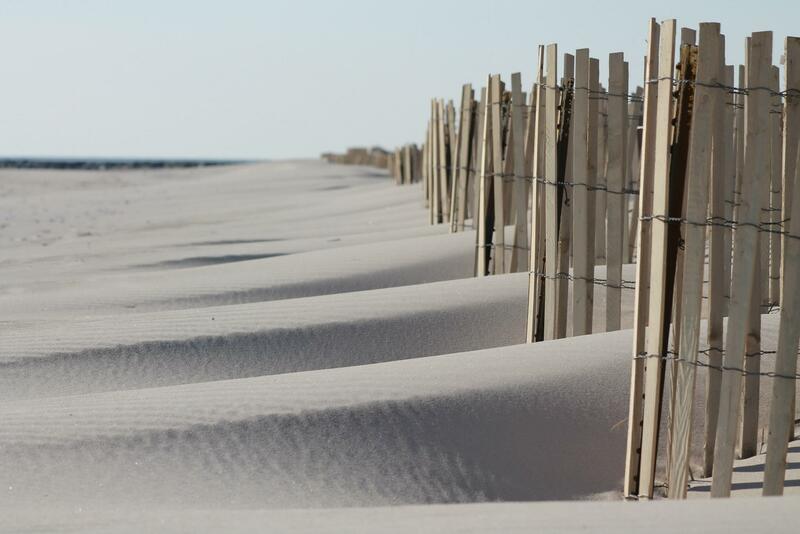 Recently (today if your reading this at post date) I took my cousin and we headed to Cupsogue Beach in Westhampton Beach to see if we could spot any harbor seals, and boy were we in luck! 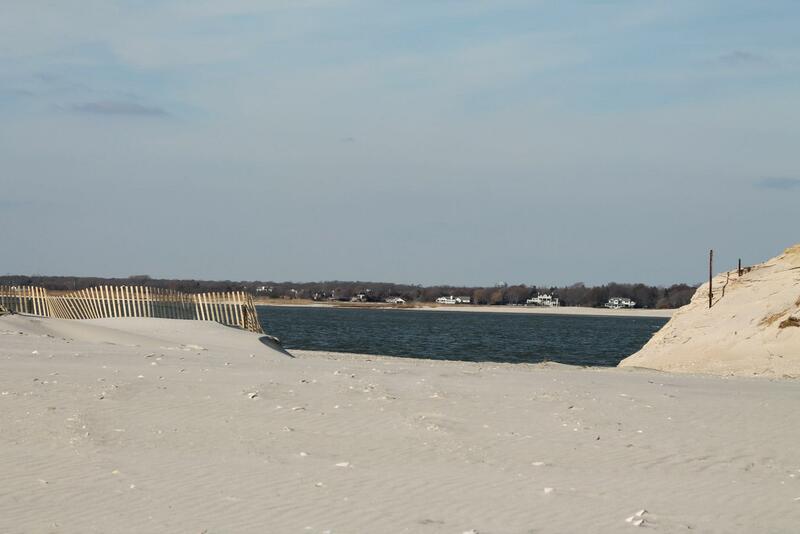 (Cupsogue by the way – was one of the beaches that was completely breached by hurricane Sandy – but they have already dredged and filled in the breach – we were literally standing on it today in amazement that was covered in water not too long ago). Ok back to the adorable, and somewhat dog-like seals. 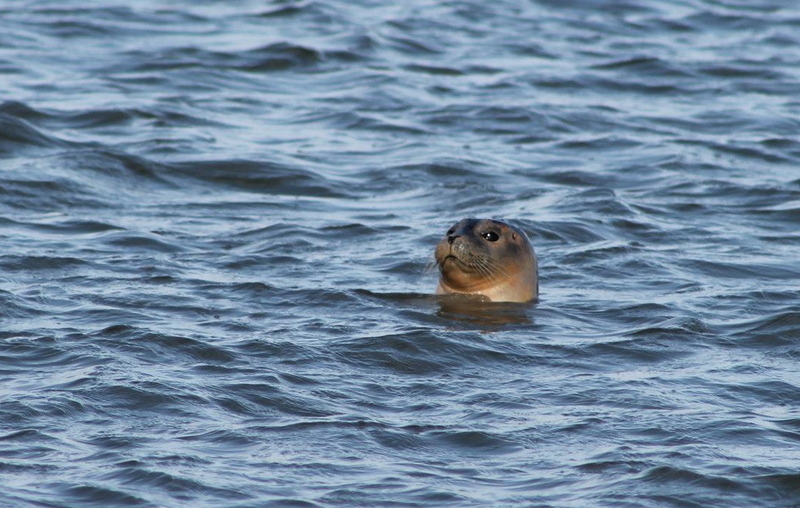 We were in luck today because the seals were not out on the sand bar sunning themselves, (and would just look like blobs for lack of a better term out in the bay), but instead they were in the water and seemed to us to be fishing for lunch – it was lunch time after all when we were there. 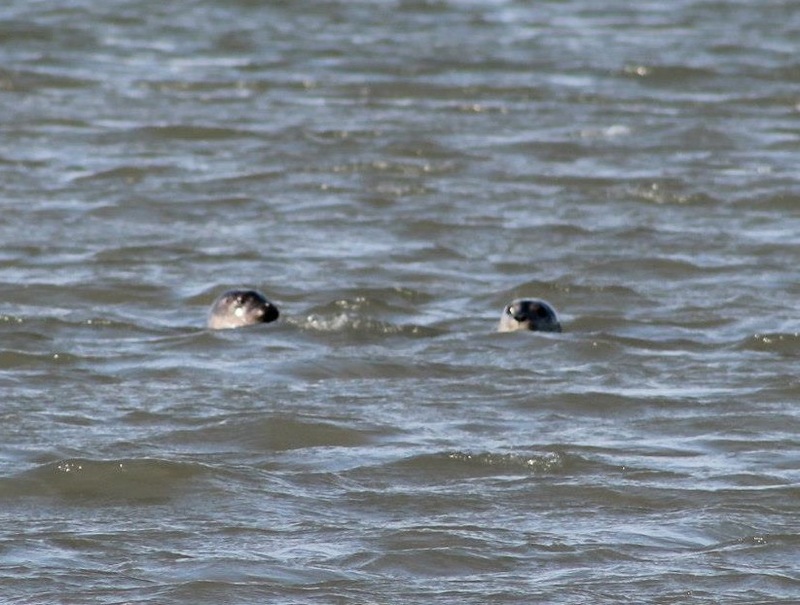 They looked like they were having a great time, and popping out of the water and looking at us, looking at them. It was quite comical – almost as if they were looking at us like, “what are you looking at?” or “Are you looking at me?” It is really magical to see these creatures of the sea and land right before us. 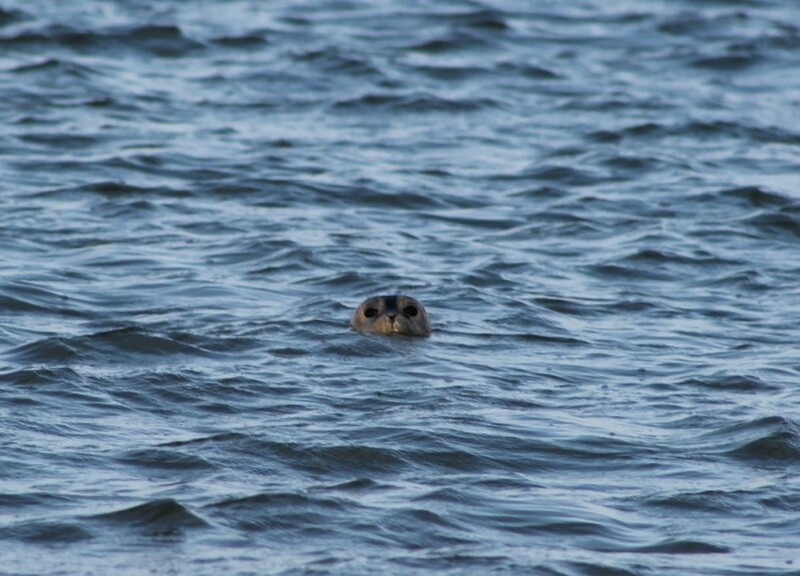 I have seen a seal while kayaking in the Peconic Bay a few summers ago with my niece we couldn’t believe our eyes, it got pretty close to us and was so freaking cute! I have kayaked in that bay for 6 consecutive summers, and that was the only time we saw a seal there, not to say they are not there – they can swim pretty fast – but it was unusual for that body of water. If you are looking for an educational seal walk/hike or want your kids or yourselves to learn about the seals – I would recommend the CRESLI or Montauk Point State Park walks. You will have a guided tour and learn a lot. I have done both in the past. 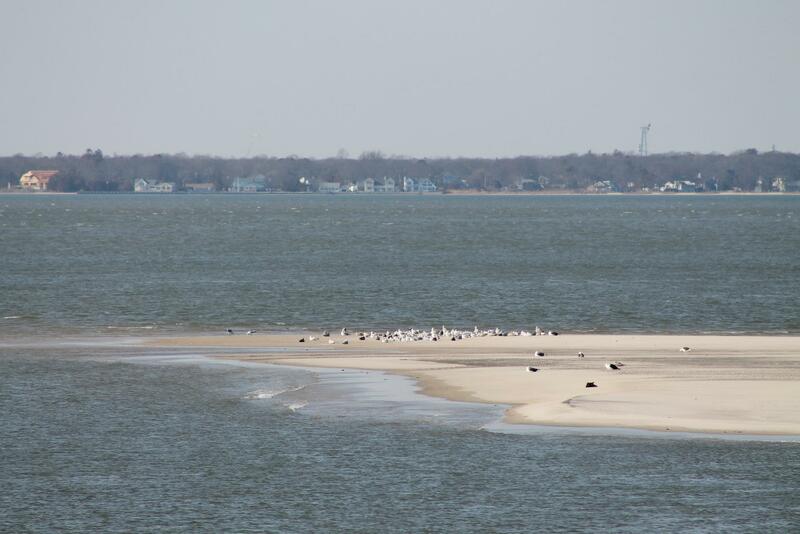 Today was just a great, and oddly warmer at the beach then the mainland, full of seals frolicking in the water, some other onlookers and just a great way to see one of LI’s best wildlife super stars. And if you’re hungry after your walk along Cupsogue head into Westhampton Beach Village and there are cute cafe’s to get your lunch (that you don’t have to swim for), and lovely shops too. Bundle up when you go, dress in layers, bring a good camera if you have it and a zoom lens to get the best photo’s and/or a pair of binoculars. Be patient and watch for them and they will more than likely delight you with their playful show. See below for additional pictures. Enjoy!